This very popular Tanzania safari route starts in the small town of Arusha and usually consists of Arusha National Park, Lake Manyara National Park, the Ngorongoro Crater, Crater Highlands, Serengeti National Park, and Tarangire National Park. Some will extend to include the flamingo breeding grounds of Lake Natron. Mt. Kilimanjaro climbs are usually done separately, though naturally these two activities can be juxtaposed. The Northern Circuit can be done at any time of the year. The dry season of June – October is usually most popular for great wildlife sightings and for viewing the migration in the Serengeti. January to early March is also a popular time to visit for the calving season. 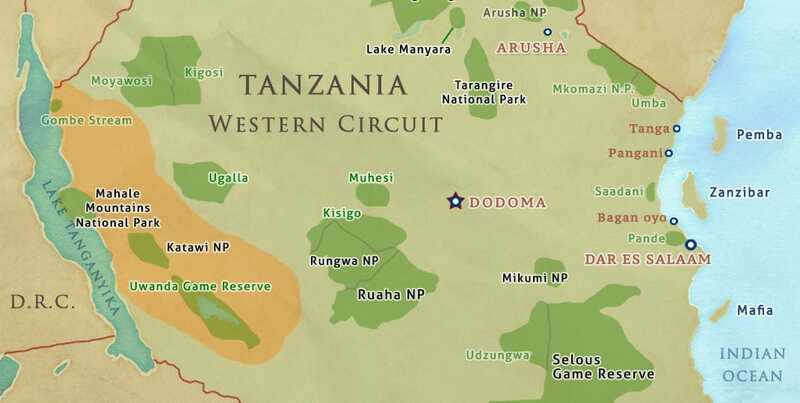 We recommend flying into Dar es Salaam if you wish to do the Southern Circuit. Parks include Mikumi National Park, Selous Game Reserve, Udzungwa Mountains National Park, and Ruaha National Park. It is also recommended to combine a Southern Circuit safari with a beach and marine holiday in the Zanzibar Archipelago (Zanzibar, Mafia Island, Pemba Island) — a perfect end to your Tanzania safari. 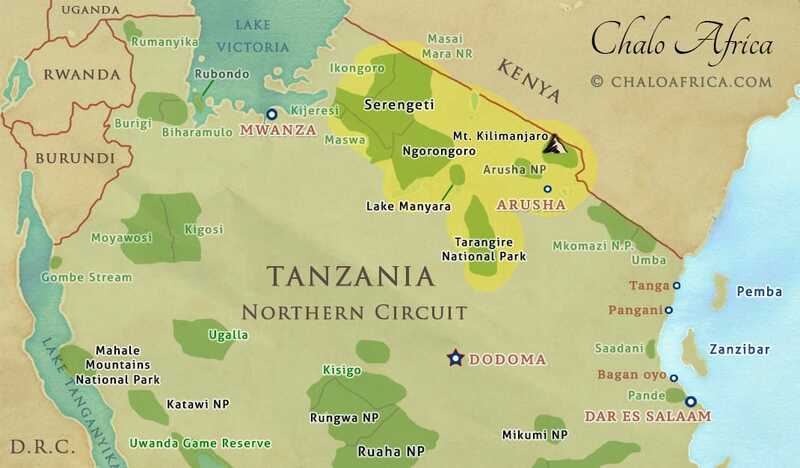 The Southern Circuit is usually best to visit in the dry season (June to October). 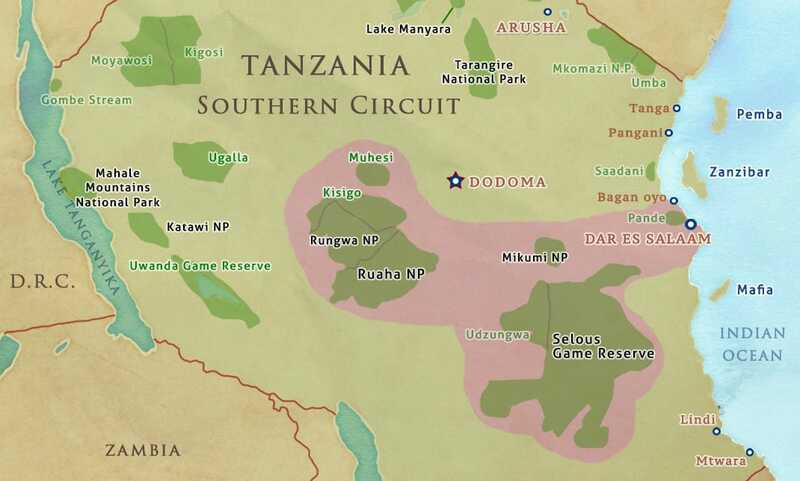 And then there is the Western Circuit of Gombe Stream, Mahale Mountains, and Katavi Plains National Parks. This is also best visited in the dry season. Obviously, any mix and match of these destinations is possible. But we recommend that you do not spread yourself too thin. Because we have already established that you will probably come back, take the time to savour these parks at your leisure.